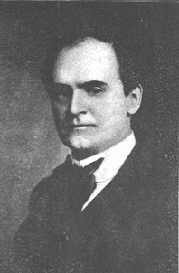 Author of "The Secret of Success"
William Walker Atkinson was a very important and influential figure in the early days of the New Thought Movement. Little is known about his early years, except that he was born in Baltimore, Maryland on December 5, 1862, to William and Emma Atkinson, both of whom were born in Maryland also. He married Margaret Foster Black of Beverley, New Jersey on October 1889 and they had two children. He pursued a business career from 1882 onwards and in 1894 he was admitted as an attorney to the Bars of Pennsylvania. Whilst he gained much material success in his profession as a lawyer, the stress and over-strain eventually took its toll, and during this time he experienced a complete physical and mental breakdown, and financial disaster. He looked for healing and in the late 1880's he found it with New Thought. From mental and physical wreck and financial ruin, he wrought through its principles, perfect health, mental vigor and material prosperity. Some time after his healing, Atkinson began to write some articles on the Truths which he had discovered which was then known as Mental Science, and in 1889 an article by him entitled "A Mental Science Catechism," appeared in Charles Fillmore's new periodical, Modern Thought. By the early 1890's Chicago had become a major centre for New Thought, mainly through the work of Emma Curtis Hopkins, and Atkinson decided to move there and he became an active promoter of the movement as an editor and author. In 1900 he worked as an associate editor of Suggestion, a New Thought journal, and wrote his first book, Thought-Force in Business and Everyday Life, being a series of lessons in personal magnetism, psychic influence, thought-force, concentration, will-power & practical Mental Science. He then met Sydney Flower, a well-known New Thought publisher and businessman and teamed up with him. In December, 1901 he assumed editorship of Flower's popular New Thought magazine, a post which he held up until 1905. During these years he built for himself an enduring place in the hearts of its readers. Article after article of wonderful strength and vital force flowed from his pen. Meanwhile he also founded his own Psychic Club and the so-called "Atkinson School of Mental Science." Both were located in the same building as Flower's Psychic Research Company and New Thought Publishing Company. While performing his New Thought editor job, Atkinson became interested in Hinduism, and met up with one Baba Bharata, a pupil of the late Yogi Ramacharaka, who had become acquainted with Atkinson's writings. They both shared similar ideas, and the men collaborated, and with Bharata providing the material and Atkinson the writing talent, they wrote a series of books which they attributed to Yogi Ramacharaka as a measure of their respect. Atkinson started writing these books under the name Yogi Ramacharaka in 1903. He wrote about 13 books under this pseudonym. They were published by the Yogi Publication Society in Chicago and reached more people than his New Thought works did. In fact, all his books on yoga are still reprinted today. The very fact that after all these years their books are well known around the world and sell better with every passing year is a credit, too, to the two men who wrote them. Atkinson wrote a great many books on New Thought as well, which became very popular and influential among New Thought devotees and practitioners and achieved wide circulation. In 1903, he was admitted to the Bars of Illinois, which means he did not leave that part of his life aside. If we assume that he also practised himself what he preached, then that must have helped him quite a lot to strengthen his nervous system. Beginning 1916 he started writing articles for Elizabeth Towne's magazine The Nautilis, and from 1916 to 1919 he edited the journal Advanced Thought, and was for a time honorary president of the International New Thought Alliance. William Walker Atkinson died on November 22, 1932, in California -- one of the truly greats of The New Thought Movement. "Practical Mental Influence" by William W. Atkinson - A course of lessons on Mental Vibrations, Psychic Influence, Personal Magnetism, Fascination, Psychic Self Protection. Containing Practical Instruction, Exercises, Directions etc. I have recently discovered the titles of several other books by William Walker Atkinson and fortunately for all of us, they are still in print. All of these may be purchased directly from, or ordered through your normal book retailer.